Established in 2017, SocialKing is one of the newest providers of social growth services. To ensure long-term results and customer satisfaction, they offer retention and money-back guarantees. Despite being a new player in the industry, the company claims on their website to already have over 70,000 satisfied customers. SocialKing provides services for Instagram, YouTube, and SoundCloud. 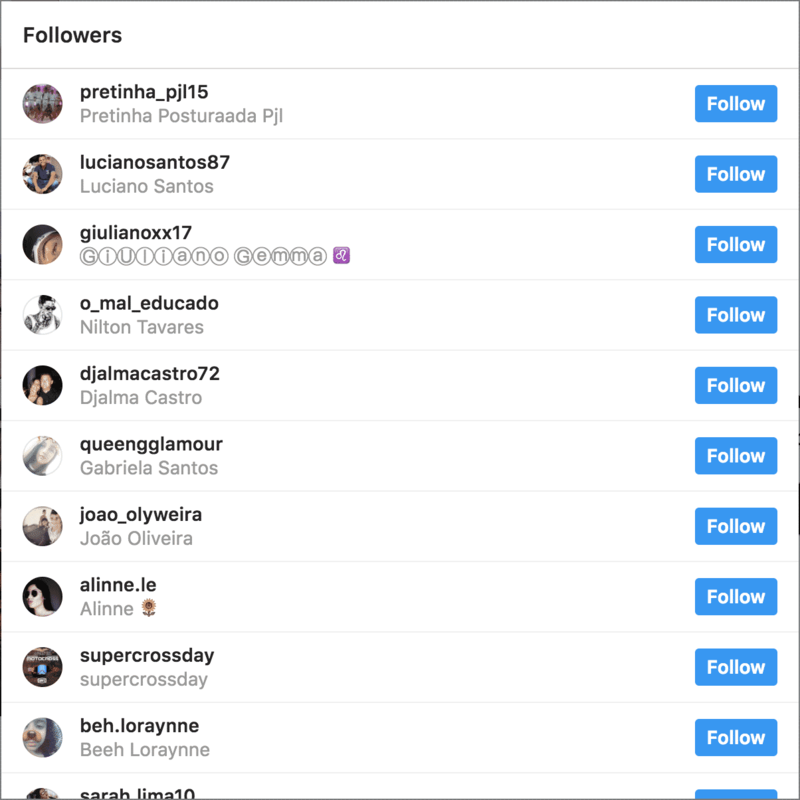 For Instagram, they have followers, likes, auto likes, and views. 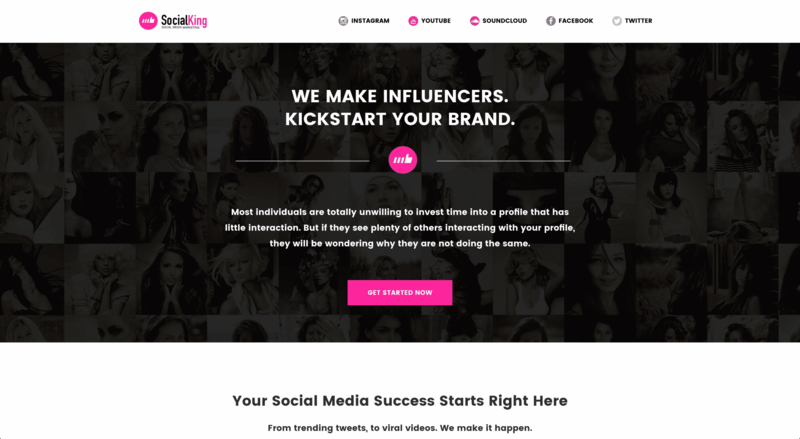 The company drives engagement and followers to your account through social marketing, sponsored placements, influencer marketing, and their exclusive premium networks. What is unique about SocialKing is that they offer a customized campaign to make sure you receive only the best and most effective social growth tactics. They perform order analysis and develop their strategy around the profile they’ve created of you. SocialKing offers one of the most innovative services on the market. SocialKing is located in Spain, and was founded in 2017. They provide a customized growth strategy by analyzing your account and building a profile they use to determine the best growth tactic for you. 1: Social marketing focuses on promoting your account on various social media networks. 2: They will also use their exclusive premium network, which boasts of over 5 million targeted users, to improve your presence. 3: SocialKing tap into their web partners to promote your account on different sites and apps. 4: Influencer marketing involves popular users posting and sharing your content with their followers. SocialKing promises to use safe marketing methods, provide the highest quality results, and conduct their services discreetly. Their customer support is available 24/7 to answer questions and concerns. SocialKing offers Instagram services for followers, likes, and views. For post engagement, you can choose either regular Instagram likes or Instagram auto likes. Auto likes are delivered almost instantly on your next 15 to 30 posts. You will start getting likes typically within 10 to 15 minutes after your next upload. Their standard likes are delivered within one to six hours on a single post. SocialKing’s terms and conditions include the limitations of their services, their liabilities, copyrights, and user responsibilities. They also have a section for their retention guarantee, which shows you the same information that you’ll find in their refunds policy. The biggest takeaway from this page is the use of their services. According to them, SocialKing’s services are for promotional purposes only. They do not guarantee other types of engagement from the followers you’ve gained other than what the service explicitly describes. Purchasing services from SocialKing signifies that you understand what you are buying, are aware of the risks, and agree with their terms. SocialKing collects two types of data: (1) personally identifiable information, and (2) non-personally identifiable information. The first type includes those that you disclose to them, such as your social network profile and email address. 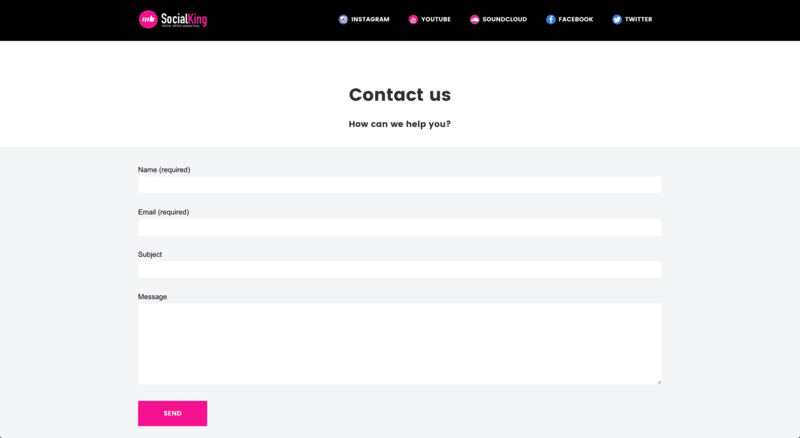 This information is collected so that the company can deliver the services you’ve purchased, and answer any questions you’ve sent through their contact form. The second type of information includes data collected by their cookies and analytic tools like Google Analytics. Details such as the type of operating system and kind of browser you are using allow the company to enhance your experience on their website. Customer payment details are never seen by SocialKing. Trusted third party providers, such as Paypal, process credit card transactions made through their website. SocialKing has made sure that you’ll have peace of mind when you buy their services. The company has a good refund and retention policy, which is common among top performing social marketing providers. They offer a 30-day money-back guarantee. Let them know why you are not satisfied and they will process the refund in due diligence. You may receive a full or partial refund. SocialKing offers full refunds for fraudulent transactions. If you think your card has been used to place an order without your knowledge, you simply have to get in touch with their Fraud Department, whose number can be found next to the transaction description in your credit card statement. They also said you can contact them through their email, but their email address isn’t anywhere on their website. According to customer support, "There will be no problem, if you are dissatisfied with the service within 45 days after ordering, you can request your money back." The duration of SocialKing’s retention guarantee varies depending on the type of service you bought. Instagram followers have a one year retention guarantee, while likes and views have a lifetime guarantee. Let them know if you start losing likes or followers and they’ll replace what you’ve lost for free. 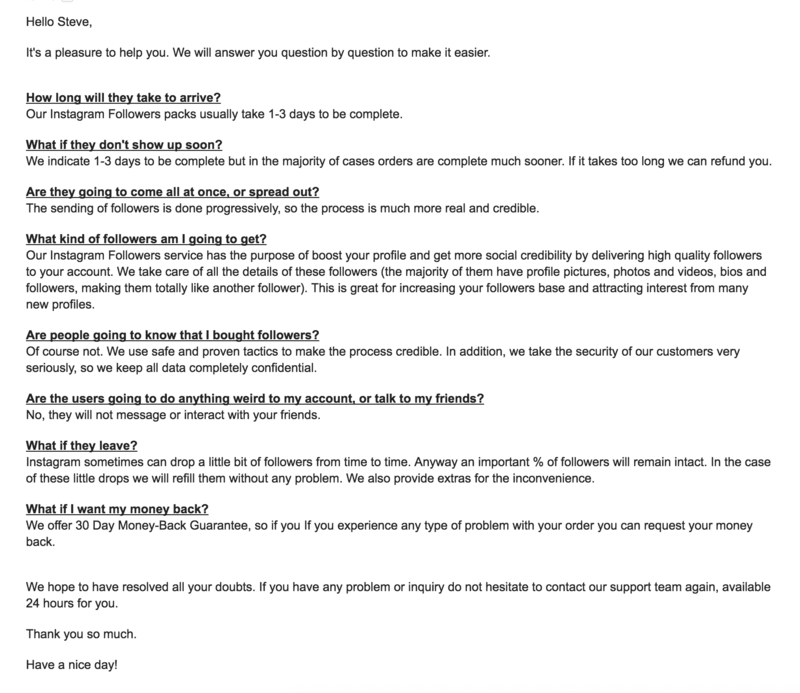 According to customer support, "The followers we deliver are guaranteed and will not unfollow you. And in case of that you lose some followers we will add them again without any problem." SocialKing has an online contact form and an FAQ page. For a company that appears to be more modern and innovative than their competitors, it’s disappointing that they don’t have live chat, and that their email address can’t be found on their website. Before we send off an order, we send some questions to the company's customer support as a test. SocialKing answered our questions very well, breaking down each one and providing a separate answer. Their response came quite quickly too. Overall, an excellent customer support experience. "Our Instagram Followers packs usually take 1-3 days to be complete." "We indicate 1-3 days to be complete but in the majority of cases orders are complete much sooner. If it takes too long we can refund you." "The sending of followers is done progressively, so the process is much more real and credible." 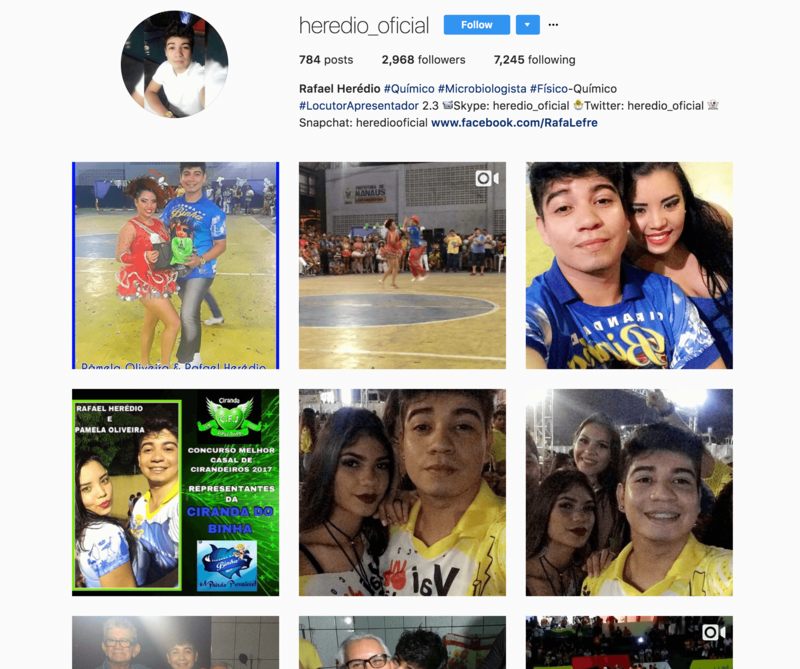 "Our Instagram Followers service has the purpose of boost your profile and get more social credibility by delivering high quality followers to your account. We take care of all the details of these followers (the majority of them have profile pictures, photos and videos, bios and followers, making them totally like another follower). This is great for increasing your followers base and attracting interest from many new profiles." "Instagram sometimes can drop a little bit of followers from time to time. Anyway an important % of followers will remain intact. In the case of these little drops we will refill them without any problem. We also provide extras for the inconvenience." After an order for one of our reviews, we like to send another set of questions to see if they treat a paying customer as well as a prospective customer. They answered all of our questions one by one, in a friendly response. Once again, this was very good! SocialKing offers a range of Instagram services that will help you with different social media goals. 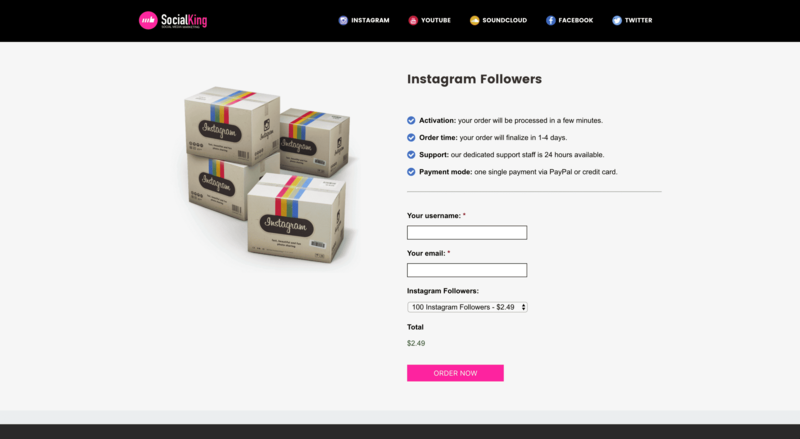 Their Instagram followers service, which you could get for as low as $2.49, is a perfect way to start growing your network and make your account look more popular. Their Instagram auto likes and standard likes services may help attract more attention and make your content go viral. With influencer marketing as part of their growth tactic, SocialKing may help you get more organic followers. Their tactic may even improve your reputation by association, as popular users will share your content and post about your account. SocialKing delivers on their promise to provide followers within a few hours. We started getting new followers soon after we’ve placed and paid for our order. The delivery was completed the next day. SocialKing offers high-quality Instagram followers. Many of these users have profile pictures and bios. They are also actively posting content of their own on the network. If anyone takes a deeper look, they wouldn’t notice the difference between these followers and those you haven’t purchased. One thing you have to consider when getting followers from SocialKing is the location of their followers. Many of the followers we got were from non-English speaking countries. We were able to keep 97% percent of the followers seven days after the order was completed. Follower retention isn’t something you have to worry about with SocialKing, however, as you can get replacements for one year. SocialKing is one of the newest social growth hacking companies on the market. They will grow your account and make your content go viral using several tactics, including tapping into their exclusive network of more than 5 million members. They will also promote you through their web partners and influencers. What we like most about SocialKing is their customized campaigns. They will develop your growth strategy according to their analysis of your account. This ensures that you will get quality followers that match your account. Their retention guarantee is also a plus, as it keeps you from losing the followers you gained through them for a year. SocialKing is perfect for growing your Instagram followers without fear of losing what you’ve gained quickly. Their likes services are great for attracting attention and having your posts go viral. Click the button below to visit their website right now and try out their innovative service. I contacted them after reading about their unique way of doing things and i am glad i did. They are all about quality. They listened to me and implemented what i wanted. My post went viral after getting likes from them. I am totally impressed by how fast i got my followers. I had a deadline to beat and asked the customer support if it would be possible to get my followers in 12 hours. Incredibly i got what i wanted within 8 hours. 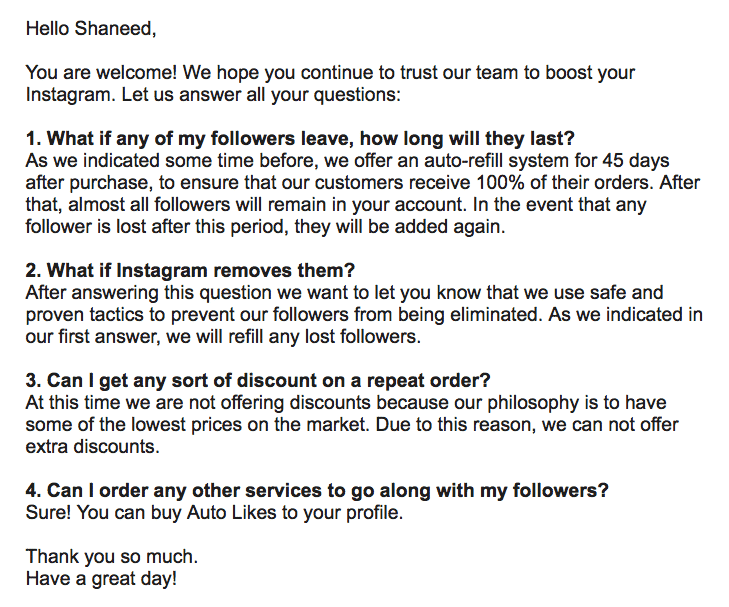 I loved the way they handled the entire process, from the time of ordering for the Instagram followers, till the end, was super nice and helpful. It's way above what I expected. 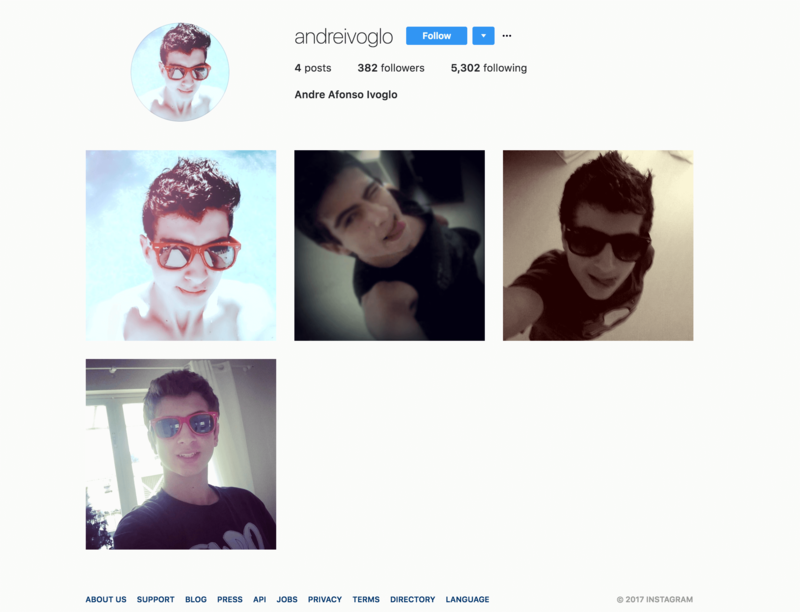 I sought to grow my Instagram following and maintain a good reputation for our business. To do this i set out on a mission to find a provider that would match my budget and quality expectations. Socialking fit perfectly and i got them to do the job which they executed in an exceptional manner. It took me just a few minutes to book some followers via their site, then the rest was done by them without incidents. I'm glad I choose to contact these guys. I'm not sure how they do it but their services are amazing. The likes I ordered were delivered in a couple of hours which is awesome. I'll definitely be using them again. My experience with SocialKing has been superb. It's a great way to help your Instagram gain social proof. I'm really impressed with this company. It's a shame there's not so much reviews online for them. So here's my review saying I'm really impressed with their service. 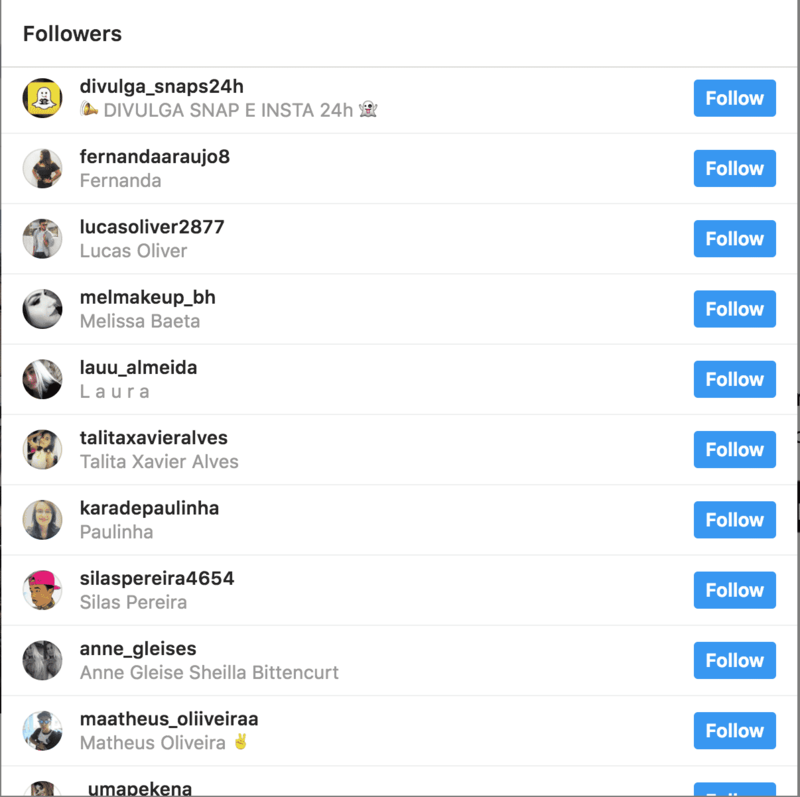 I ordered Instagram likes a couple of weeks ago and was worried that they would disappear like other providers out there. I'm quite surprised that the likes I ordered are still here. They have good retention for Instagram Likes. I'm quite surprised I don't get to see enough reviews of SocialKing on google. That's why I have to put out this review for this great company. Their Instagram service is by far the best I have tried or at least one of the best. I would recommend them to everybody.